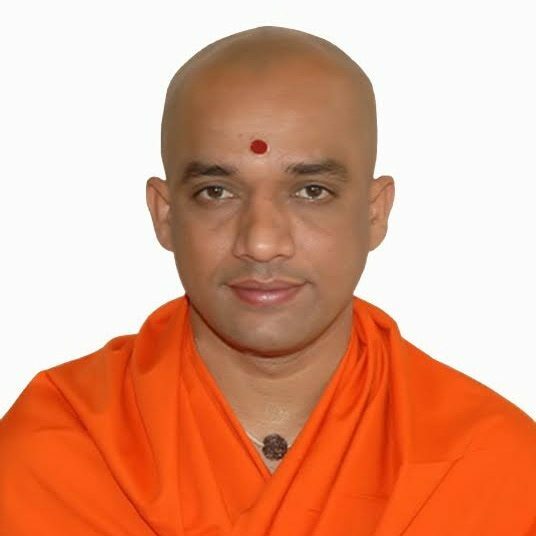 His Holiness Jagadguru Sri Dr. Nirmalanandanatha Mahaswamiji anointed as the 72nd Pontiff of Adichunchanagiri Mahasamsthana Math as successor to his Guru, Sri Sri Sri Dr. Balagangadharanatha Mahaswamiji in the year 2013. Poojya Mahaswamiji, unlike many other youngsters, had an inclination towards Spirituality, Science and Service rather than Materialism. He adapted an ascetic life in 1998 and underwent formal training in the traditional knowledge systems. His unquenchable thirst for knowledge is evident from his attitude in conferences and functions wherein he listens to the discourses on Vedas, Upanishads and other Shastras like an eager young student. Poojya Mahaswamiji, aided by his educational background and interest in Engineering has incorporated Modern Technologies and revolutionized the functioning of all the Institutions of Shikshana Trust. He has taken up the initiative of introducing computerized working environment in all the Academic and Administrative activities of the institutions. His Holiness was conferred with “Doctor Honoris Causa” (Honorary Doctor of Science) by the University of Mysore, Karnataka in 2016.